Wednesday 18th July 2018 - summer winners, and winter horses coming back in. 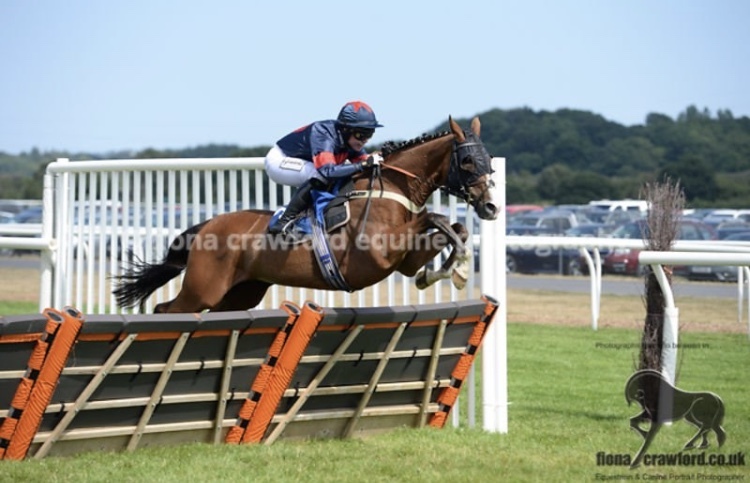 We ended June with Double Treasure winning his second novice hurdle, which was a valuable Class 3 at Newton Abbot. Once again, Gavin gave him a wonderful ride and I was delighted with Double Treasure’s attitude as he looked beaten coming to the second last flight of hurdles but battled on bravely and won the race with a fabulous leap at the last. We’ll give him a bit of a break now and look to come back for the novice hurdle at Cheltenham in October before we see how high he can fly over hurdles. We started July with a spate of seconditis which although is frustrating to be “hitting the post” (we were in the World Cup fortnight!) I was pleased that the horses were maintaining their good form. However, it was a relief when we “hit the back of the net” when Lord Topper bolted up at Newton Abbot on Saturday under Page Fuller who was riding her first winner as a Conditional Jockey. He had been threatening to put in a performance like that for a while, and the combination of blinkers, fast ground, 3m2, and a frantic early pace combined to produce a fantastic result. He really quickened clear off the home bend and flew home over the last two unchallenged. He should be able to win again this summer, and there might be scope off his flat mark as well. It was good to see Our Reward put in a decent performance to be 2nd at Cartmel earlier this month and having finished 2nd in three of his last five starts, I hope his time is coming to be back in the winners enclosure. 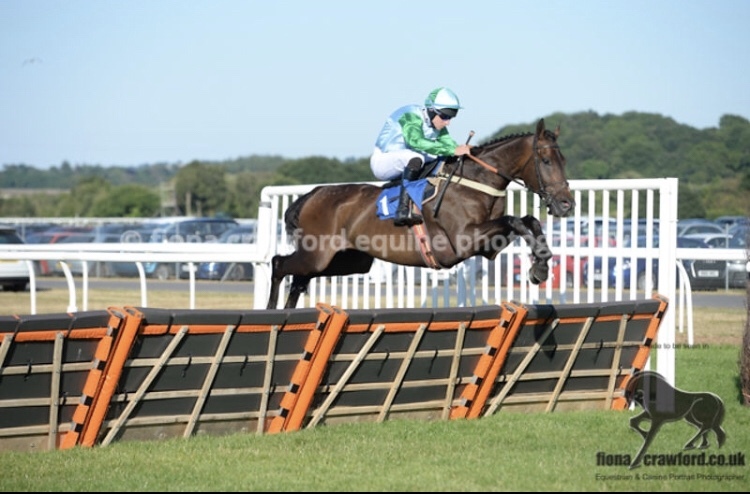 Having been 2nd in a bumper Cautorillo stepped up on her previous hurdle performances when going up in trip in a handicap to be 2nd at Uttoxeter. She’ll stay further being by Black Sam Bellamy and she is another who should be winning before the autumn. Meanwhile, I was thrilled to see Carntop run well to be 2nd at Stratford in a maiden hurdle. He was a decent horse on the flat having been 2nd in the Lingfield Derby Trial a few years back but his wind needed tinkering with and I couldn’t be happier with him now. He should keep progressing now and I think he could be quite exciting for the rest of the summer and into the autumn. Our Three Sons also hit the crossbar on the same Stratford card. Having won on his chasing debut, he seems to be improving for each run this summer, and I look forward to running him again this weekend. There are three 25% shares available in this hugely exciting 5yo gelding who is by the wonderful sire Black Sam Bellamy (sire of World Hurdle favourite, Sam Spinner and our class 2 Scottish National festival winner, Naranja to name a couple). He is a half-brother to 5 winners including Another Moment who won a bumper and is now an 85 rated flat horse, and 2-mile hurdle winner, Jayed. His dam is a half-sister to Ibn Bey who was 2nd in the Breeders’ Cup Classic. He has a wonderful blend of both stamina and speed. Thomas MacDonagh was placed on both his Irish Points in the autumn and also placed in an Irish Bumper this spring. He is a physically imposing individual as he is 16'3’ with plenty of strength and scope – a proper staying chaser. 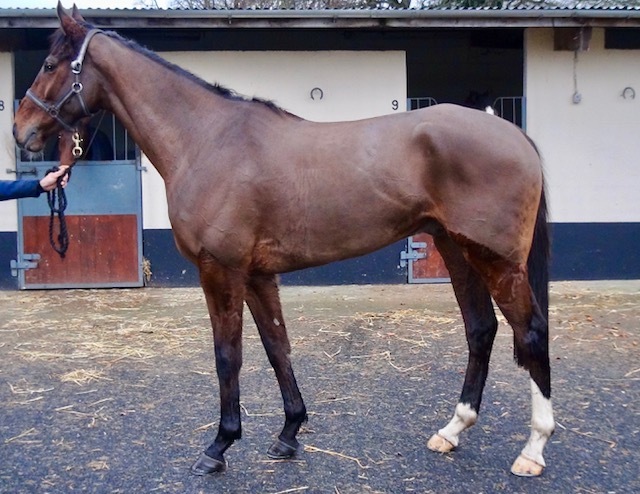 There is one 25% share left in this gorgeous, athletic 5-year-old mare who is a sister to an impressive bumper winner. Her unraced dam is a sister to the prolific flat winner Marilaya who was the dam of the smart 2m Grade 2 winning chaser, Maralan. Redbridge Gold is by Gold Well who was the brother of Montjeu and the sire of Grade 1 winner Holywell, and Grade 3 winners Johns Spirit and Sausalito Sunrise among others, so she will be a valuable broodmare in time herself. Redbridge Gold put in the fastest time of the day to win her maiden Point-to-Point at Lingstown on 11th March on soft ground. She is an absolutely cracking mare and looks like she’ll be capable of winning her bumper before taking higher order over hurdles next winter.